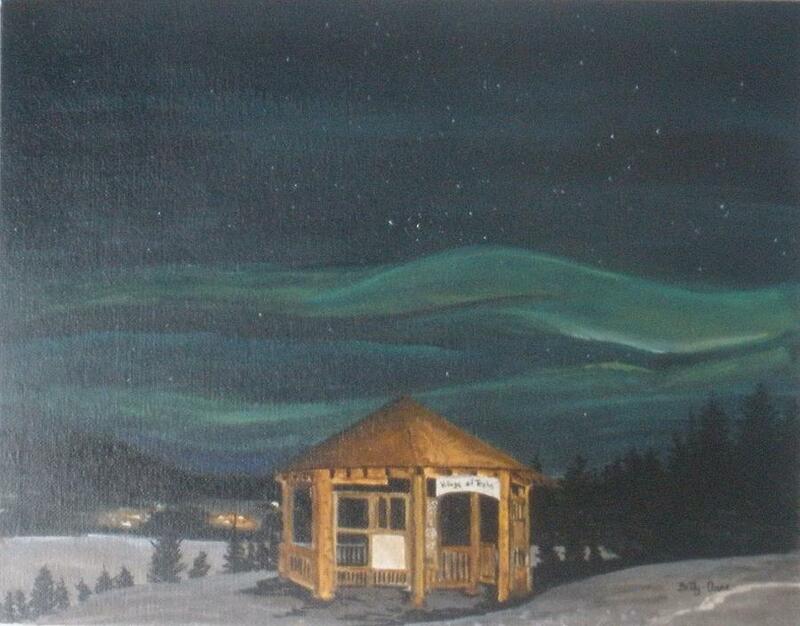 Northern Lights is a painting by Betty-Anne McDonald which was uploaded on January 15th, 2010. 11 x 14 acrylics on canvas board. I saw the photograph for this on Our Canada website. The photographer was Gord Curran. This is a lookout in Teslin, Yukon. My husband and I had stood inside that outlook on our travels to Alaska during the summer of 2007. No northern lights at that time of year!